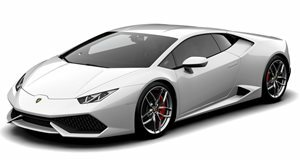 Just about everything Lamborghini makes these days has all-wheel drive, stretching back from the Diablo VT through the Gallardo and Murcielago to today's Huracan, , and of course the . But that doesn't mean they're all suitable for taking off road. 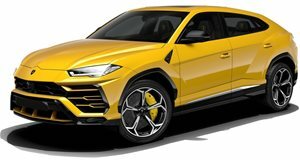 The Urus and the legendary were designed from the get-go to venture off the beaten path. But one guy has transformed his to be even more rugged than those SUVs. That man is Alex Choi, and he calls his creation "Monkey Bars” – but we'll call it the Huracage. Choi commissioned the team at Sheepey Race to positively transform this ten-cylinder Raging Bull into a rally car more rugged and more powerful than anything you'd see tackling the World Rally Championship. For starters, as you can see, the bodywork is framed (or in some cases replaced) by a hot-pink external roll cage. It was crafted by the same people who made the internal roll cage for Choi's BMW drift car, but this one is fitted to the outside. The idea was inspired by the "flip car” that wreaked havoc in Fast & Furious 6, but the finished product took on a life of its own. Sheepey also extensively upgraded the 5.2-liter V10 beyond the 631 horsepower and 443 lb-ft of torque it already produces in the production and versions. They also fitted a pair of turbochargers and air-to-air intercoolers, upgraded the rolling stock, the aero kit, and mounted more auxiliary lights than a night-time construction site. The result is looks more like an Ariel Nomad than a stock Huracan. And while, as Choi points out, it's not likely to please the purists, part of us is glad – very glad – that someone had the outlandish vision to make such a delicious monstrosity a reality.